To understand the story behind Pennsylvania Combat Sports, you have to go back 10 years. When a small Quonset building in South Greensburg would become the first place to teach MMA in all of Westmoreland County. 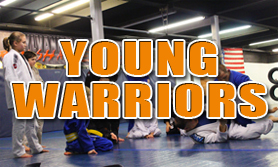 Prior to 2001, there were no martial arts schools offering MMA or Brazilian Jiu-Jitsu training in Greensburg, or the surrounding communities of Westmoreland County. This would all change when Casey Leonard would return back to Pennsylvania after serving in the US Marine Corps. Coming back to Greensburg after living and training in Southern California, Casey soon realized that the explosive popularity of MMA and Brazilian Jiu-Jitsu academies in California, had not yet reached this part of Pennsylvania. In 2000, a chance encounter with Mac Danzig would put a series of events into motion that no one would have anticipated at the time. As a blue belt in Brazilian Jiu-Jitsu, Casey took Mac under his wing and spent several nights a week teaching him the fundamentals of a sport that few locals knew anything about. With no prior wrestling or martial arts experience Mac was learning everything for the first time. CGS would continue as the home of MMA and Brazilian Jiu-Jitsu in Westmoreland County, creating many more success stories along the way. One such story would start in 2002, when Dustin Thornton would arrive on the scene. Having no experience in wrestling or any previous martial arts, Casey would turn him into a NAGA (Known to host the largest grappling tournaments in the country) WORLD Champion in 2003! The decision to train full-time also led Dustin to seek opportunities in California. where he is now a head trainer at UND1SPUTED (Point Loma) and pupil under Master Baret Yoshida. Fast forward to 2005 when Casey Leonard sets his sights on a new goal, to become the All Army Combatives Champion! This historic event would be the first time in over 200 years that our US ARMY would seek to determine who the best fighters truly were. All components of the Army, to include Army Reserves, and National Guard were asked to send their best fighters to compete in this 2 day event held at Ft. Benning, Georgia. Representing 19th Special Forces Group in West Virginia, Casey would accept the challenge. After two long days of competing against the best fighters in the Army, he was able to capture the 155lb Army title in an MMA match that would last only 90 seconds! Moving into 2009, the development of something truly great would be on the horizon. The idea of Pennsylvania Combat Sports was conceived, with the goal of creating a training facility unlike anything in Western Pennsylvania. Located in the heart of Greensburg, Pennsylvania Combat Sports would be calling home a massive 15,000 sqft property just 2 blocks from the courthouse! Creating champions has become habit over the years, as our students continue to dominate the competition. For us, winning is truly the RULE and not the exception. Contact us to receive more information on how we can make you a champion on the mat, in the cage, or at life! The "Cold Steel" Submission Only Tournament hosted by Pennsylvania Combat Sports was a huge success! Grapplers from the region, converged on Greensburg for their shot at taking home 1st Place and a well earned Samurai Sword. Thanks again to our sponsors SUB KILL and BJJ Ranked. January 15th 2011 Greensburg, Pa.
Our competition team traveled from Greensburg to Morgantown Wv for the Submission Only V Tournament hosted by Ground Zero Fighting Systems on November 20th, 2011. Members of Pennsylvania Combat Sports are highlighted below. "COLD STEEL" Submission Only BJJ & No-Gi Tournament...No Time Limits! No Points! "The PACS Grappling Series debuted its first Submission Only Tournament on September 18th, 2010. This was an extremely successful event, bringing in grapplers from Ohio, West Virginia, Kentucky, Viriginia, and all parts of the Keystone State. The second installment is expected to bring in even more competitors from some of the best teams on the East Coast and Mid West." To commemorate the warrior spirit and to honor the "purity" of Submission Only Competition...1st Place Finishers in EVERY DIVISION will be awarded a Samurai Sword. Awards presented for 2nd and 3rd Place Finishers along with Fastest Submission and Longest Match. Team Awards for the schools that take 1st in the BJJ and No-Gi divisional rankings. Weigh-ins will be held on Friday 2-8pm at PACS and from 8-10am on Saturday prior to the event. Divisions may be consolidated and or created as necessary to accommodate competitor bracketing. 1)No grabbing of any clothing, including your own, is permitted in No-Gi Divisions. 2) The only leglocks legal for beginner, intermediate, advanced and 30+ divisions are straight ankle locks (AKA. straight footlock) and kneebars. ALL leglocks are legal in EXPERT Division. 3) Bicep/calf slicers (crushers) are not legal for beginner, intermediate, advanced or 30+ divisions. These are permitted in the EXPERT Division. 4)Any spine locks, twisting submissions, or neck cranks will not be allowed unless you are in the EXPERT Division. 5)The use of a slam to counter or avoid submissions, will result in disqualification. No warnings will be given. Elevated takedowns or throws must be executed with control. 6)Referees will have the final say on the mat. Arguing or disrespectful behavior towards a Referee will not be tolerated whatsoever. A complete rules meeting will be conducted prior to kicking off the event. After which we will have the opportunity to address any questions from the competitors. Gis are optional for submission grappling divisions. Mouthpiece and groin protection are optional, but strongly recommended. 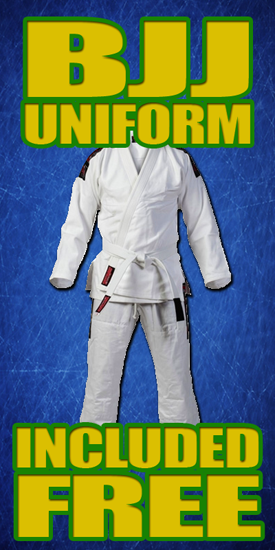 Form fitting T-shirts or rashguards are recommended. All clothing worn by competitors, must be clean and freshly laundered. Pennsylvania Combat Sports is located in the heart of Greensburg, and offers MMA training for beginners to pro-fighters. If your looking for quality instruction, from experienced coaches then this is the place. If your interested in getting into the best shape of your life, in one of the best training facilities IN THE STATE!....then look no further. Our coaches have taken people with ZERO experience (to include NO wrestling) and turned them into successful MMA fighters! We can do the same for you, all we ask for is dedication to our training and faith in yourself. Contact us for more details on our MMA training programs.